Facundo Sola and Gonzalito Pieres. Photo: David Lominska/Polographics.com. WELLINGTON, Fla. - April 21, 2016 - Dubai and Orchard Hill advance to the U.S. Open Polo Championship® Final after winning their semifinal matches April 20 at the International Polo Club Palm Beach (IPC). 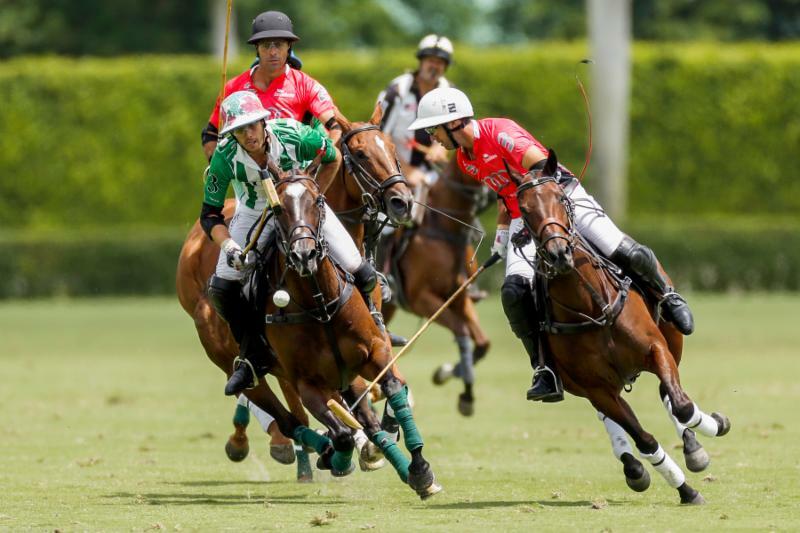 Orchard Hill defeated White Birch 9-8 in overtime, and Dubai defeated Audi 13-11. USPA Global Licensing Inc. manages its licensing program in over 135 countries through independent retail, department, online and U.S. Polo Assn. brand stores. Primarily featuring sportswear for men, women, and children, the product offering has expanded to include accessories, luggage, watches, shoes, home furnishings and more.